Editor’s Morning Note: High-yield corporate paper? It’s like a credit card for your startup! This morning, a friend sent me a Bloomberg article concerning startups taking on more debt than before. 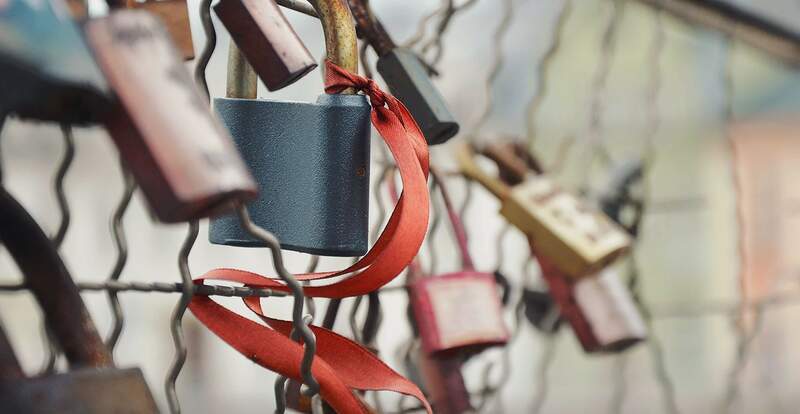 If you are of the conservative financial mind, it may make you a bit uncomfortable in your chair that startups are taking on more obligations that require regular repayment. But, we’ve seen a softening in the venture market, at least at certain Series-levels, so the article’s thrust seemed reasonable. And as you well know, debt in a growing startup is not rare. Bloomberg stresses that some young companies are now using debt as more than a strategic capital source. Instead, the firms it interviewed view it as a way to avoid venture dollars, which can come at an expensive equity price. That’s the bull case: Borrow money, pay it back with growing revenue and avoid dilution. It sounds perfect until you consider its bill. Keep in mind the following interest rate range: 9 to 15 percent. Then, where the company managed to secure the money: 14 percent. The game here, it seems, is that you can pay a lower interest rate if you are willing to give up more in terms of corporate control. So to land at 14 percent to get “cleaner terms” is notable—nearly the highest rate offered didn’t get the company to fully “clean” terms. That is some expensive money. In case you didn’t want to do the math, we’ve got you: 14 percent of $14.25 million is just under $2 million dollars yearly, or over than $5,000 per day. And that’s just the interest. 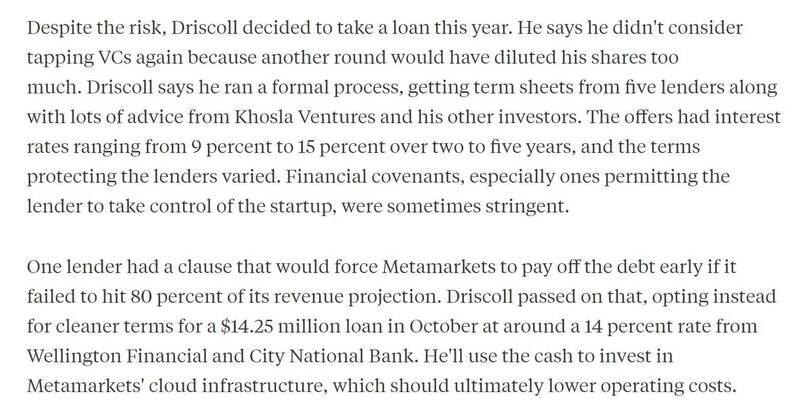 So, if you don’t want to let venture capitalists take a large cut of your future profits, you can mortgage quite a lot of your current revenue. That we are seeing startups take on more debt as we head into the Fed’s first real year of rate tightening in ages is fun. Perhaps it’s smart of younger firms secure loans before they reprice. It’s not going to get easier. But still, more debt is rarely cause for celebration. What a fine way to wrap up 2016: Startups, now further in the hock.